All the aches and pains of pregnancy and the agony of birth culminate in one incredible moment – the chance to dress your baby in ridiculously cute Christmas outfits. Here are our favourite Christmas onesies, all from makers on Etsy. Are moustaches still in? A million hipsters can’t be wrong. Celebrate the next generation of growers of trendy facial hair with this moustachioed Santa onesie ($15, above). We’ve said it before, and we’ll say it again, Christmas folklore and decorations don’t lend themselves well to hot weather. Until now. 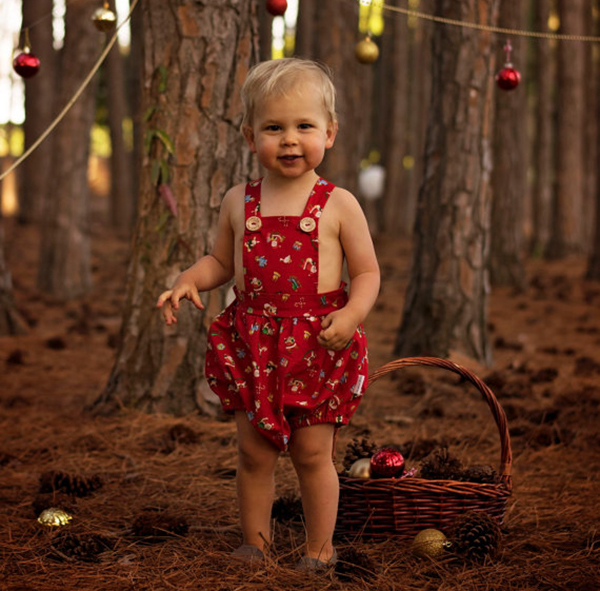 This red Christmas romper ($37) has all the charm of a Christmas jumper, printed on summery bloomers. 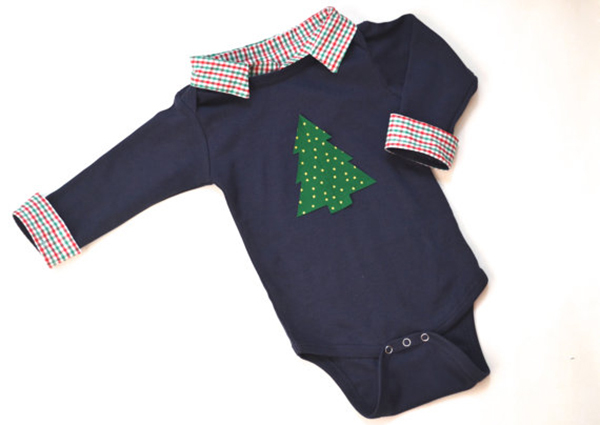 For the sartorially savvy baby, there’s a faux shirt and Christmas tree romper ensemble ($40). Doesn’t the saying go something like first born, best dressed? There’s no reason to stop at checked shirts when your baby can go the full preppy mile and don a grey marle cardigan onesie ($31) with a green button band and matching bow tie. If boys get button downs and bowties, girls get red tutus ($28), gold bows and matching chevron legwarmers. The cuteness is impossible to handle. This simple candy cane romper ($25), dressed up with lace sleeves is perfect for those Christmases when the weather feels like you’ve jumped in the oven with the roast. One part retro rockabilly, one part cute cat, we love this everyday onesie ($20) for the Christmas season. On a casual day, pair it with loose chambray drawstring pants, and for a fancy event, put it on under a fluffy pink tutu. Now your baby is set, what are you going to wear?